Kelly Tobin is one of the farmers who planted cover crops as part of a nine-year study. He saw corn and sobyean yields increase. A nine-year study of cereal rye as a cover crop shows it can lead to higher soybean and corn yields, and that’s in addition to the environmental benefits it offers. Two non-profits, Iowa Learning Farms and Practical Farmers of Iowa, compared strips of fields planted with cereal rye in the fall and those without it. The rye helps keep nutrients and soil in place, and also keeps down some weeds. Plus, in areas with multiple years of the cover crop, some farmers reported harvesting slightly more soybeans and corn. Liz Juchems of Iowa Learning Farms says initially some farmers worried cover crops might negatively affect yields. But one farmer in southwest Iowa measured a 19 bushel per acre advantage in his corn in 2016 and an 11 bushel per acre increase in soybeans in 2017. 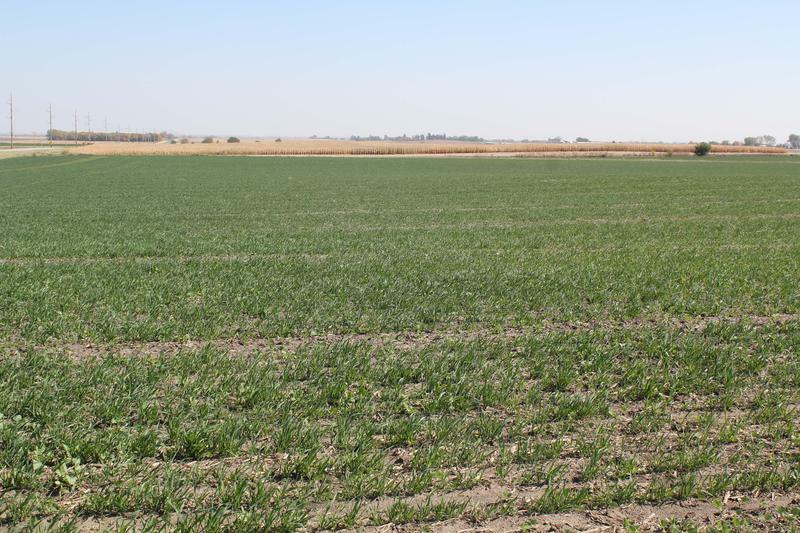 Overall, the study found that soybeans more often than corn yielded higher after cover crops, but the cereal rye had no negative effect on either cash crop. Cover crops are primarily intended to keep nutrients and soil from washing off fields while they are between seasons. Juchems says in the study, the cereal rye was planted in the fall. “It will go dormant during this time of the year and once it warms up in the spring, it’ll start growing again,” she explains. “So it helps us bridge those brown months when we don’t have corn or soybeans growing in our fields, so it can be retaining the soil, and then the nutrients through the plant uptake. Juchems says the only downside of the study’s success is that farmers are dropping out. “Once we got past the first couple of years of using cover crops, some of our producers said, ‘I don’t need to be convinced anymore, I’m going to use cover crops. I don’t want to have these no cover strips left in my field,’” she says. And Juchems says these farmers will continue to be role models and resources for their neighbors who are still weighing whether to invest in cover crops. She hopes that, along with some new incentive programs, will show them the potential for economic as well as agronomic benefits. 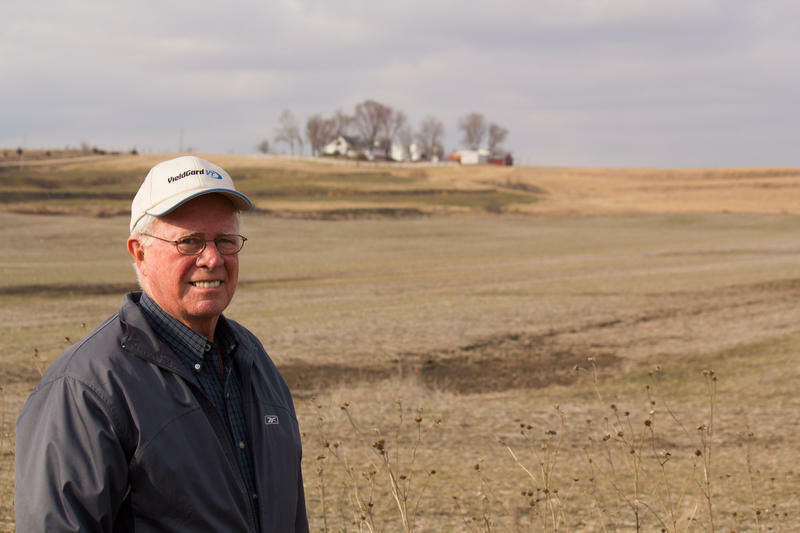 Iowa farmers are making land use decisions aimed at helping farm chemical runoff curb into streams, rivers and, ultimately, the Gulf of Mexico. 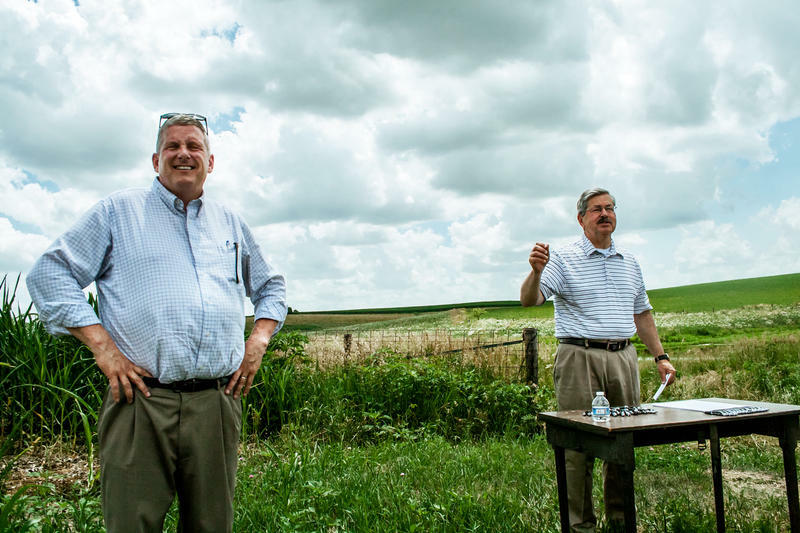 This year’s dead zone in Gulf is the biggest one ever, and Iowa’s secretary of agriculture says more changes are needed. Bill Northey says cover crops, which keep roots in the ground and prevent nutrients and soil from washing away, are a key practice. But he says statewide only about three to four percent of farmland gets a cover crop. Take a road trip through the Midwest during the growing season, and it feels like you're moving through a sea of corn and soybeans grown largely for livestock feed or ethanol. But now, low grain prices and increasing pressure to clean up waterways may push some farmers to consider other options.